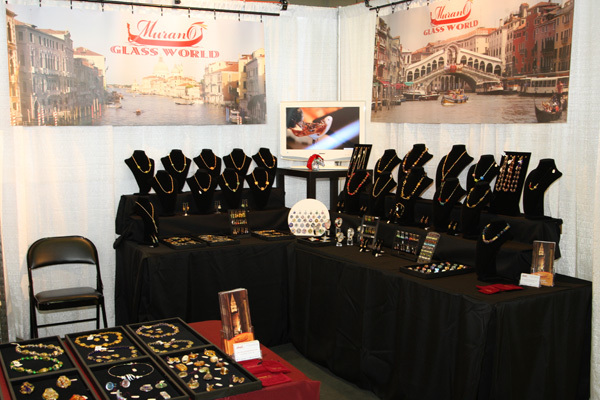 MuranoGlassWorld was created with passion for Venice and everything it has to offer to those who appreciate art, beauty, and history. 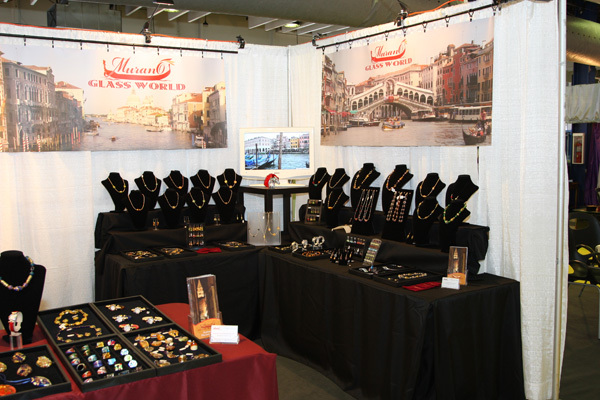 We are a premier global provider of authentic Murano glass jewelry, accessories and home decor to vendors, event planners, wedding coordinators, interior decorators, designers, and corporations worldwide. We start by selecting the best glass artisans in Venice who have decades of experience in Murano glass blowing according to the original ancient techniques. 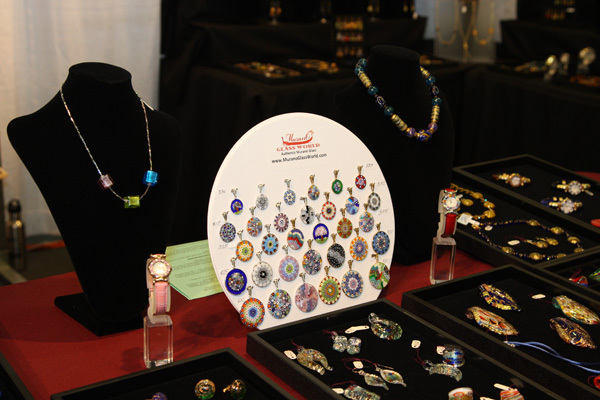 We nurture our artisan relationships by making frequent visits to Murano and providing constant feedback to the artisans to achieve high quality products that follow latest trends. 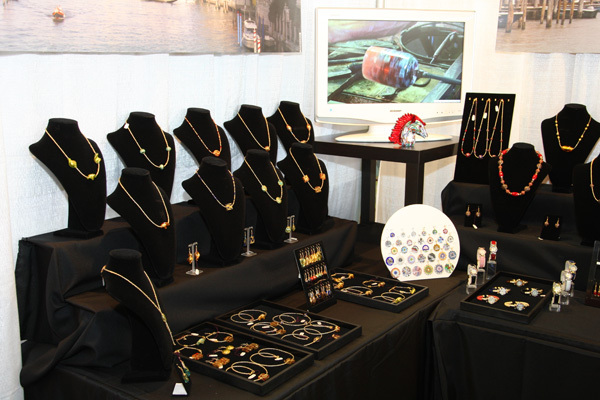 We work with the artisans directly cutting all middlemen and use latest 100% secure internet technology to bring quality workmanship of authentic Murano glass products to our global wholesale clients at the lowest possible cost. 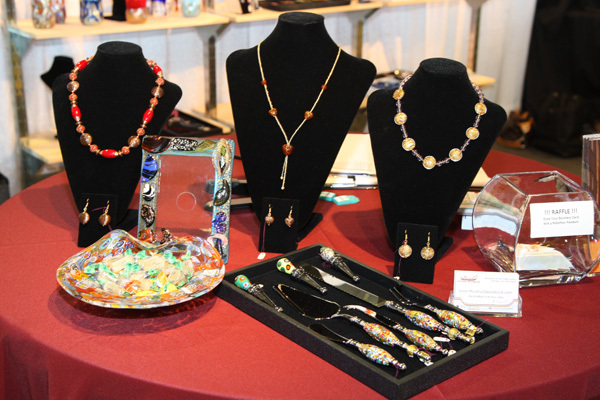 Whether you are a street vendor in Paris or a large chain in the U.S. wishing to offer your clients access to exclusive genuine Murano glass, we can provide everything you need for the success of your business. While we have a wide selection of products on our wholesale website, if you don’t see a product you are looking for, please contact us and we will discuss a possibility of taking a custom order from you. We welcome all of your questions, comments and suggestions. If you'd like to learn more about our services, please review the F.A.Q. page. Enjoy your time in our virtual store! 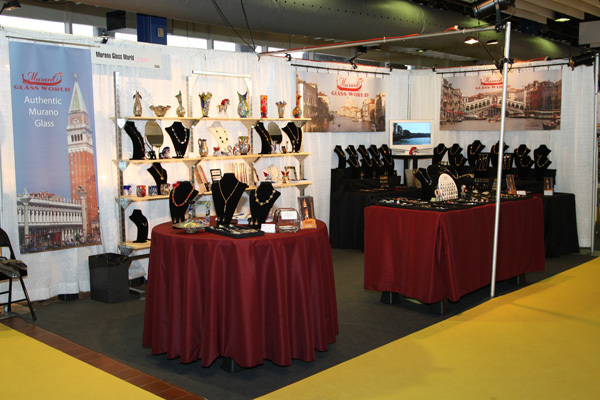 Visit us at New York International Gift Fair! 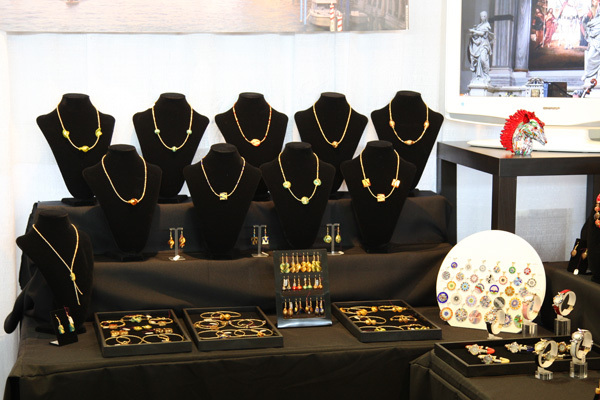 We are pleased to inform you that we will present our extensive collection of Murano Glass jewelry, accessories, home d�cor, and silverware at the upcoming New York International Gift Fair, Booth 1669 in Jacob Javits Center, Sunday January 29th through Thursday, February 2nd 2012. 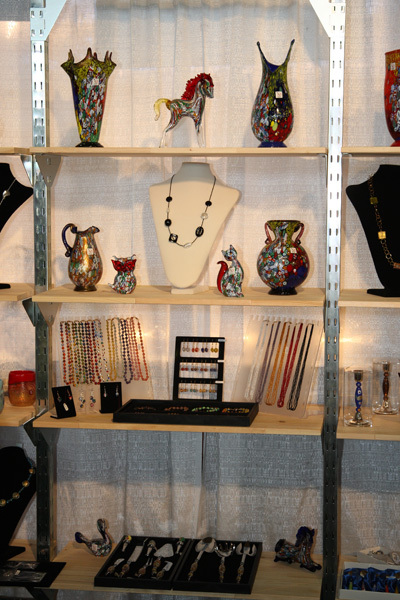 This is a unique opportunity for you as a wholesale buyer to see and touch our authentic handcrafted Murano Glass products, which are available on MuranoGlassWorld.com, ask questions, and interact with the company�s knowledgeable and courteous staff. 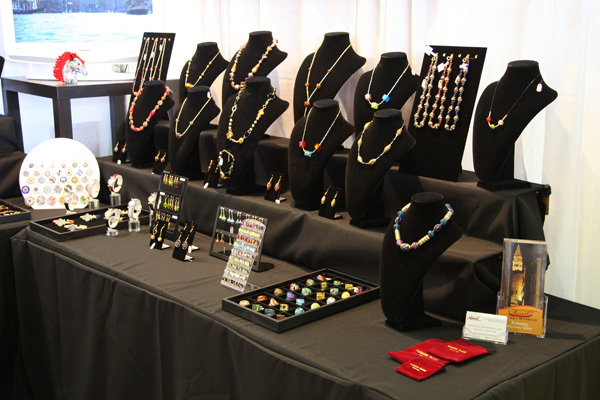 We will also be happy to take your wholesale order during the Fair. 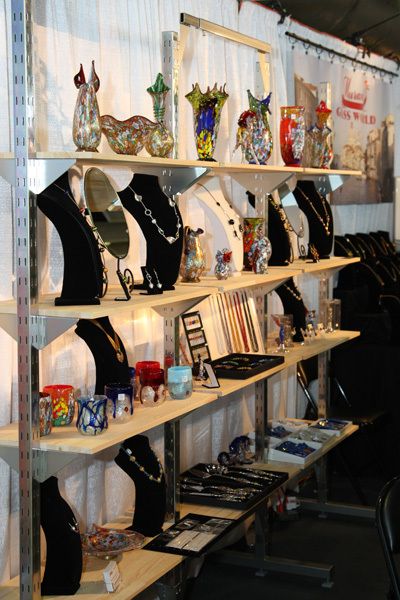 We invite you to stop by our booth, view our large collection of exquisite Murano Glass imported from Venice, and see for yourself why we have many satisfied repeat wholesale clients all over the world. 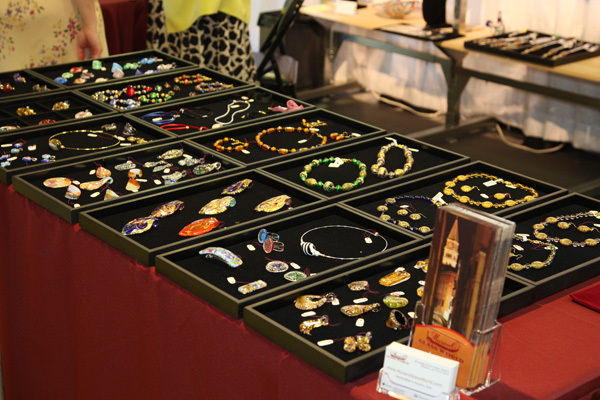 We look forward to seeing you at the Fair and starting or continuing a long-term business relationship with your company. We are also happy to answer any questions you may have prior to the Fair. 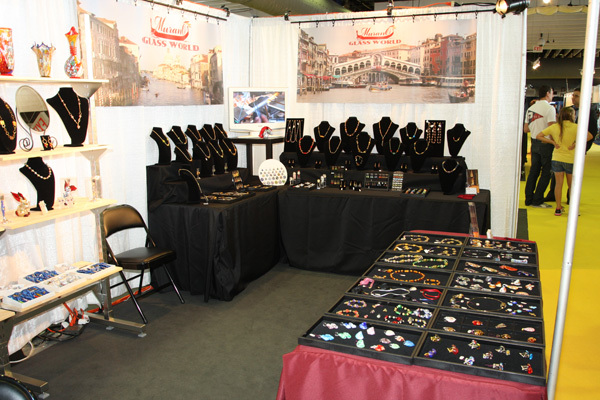 Here are some images from August 2011 Fair.